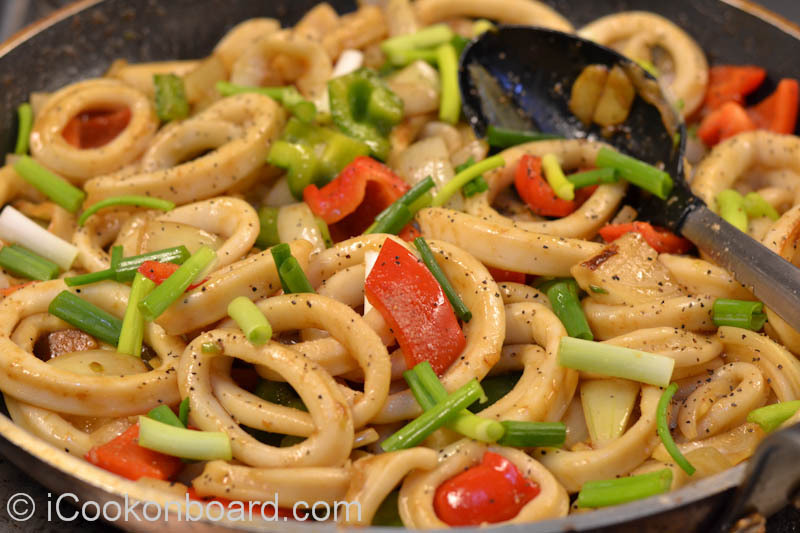 This dish will surely save your day! Quite easy to prefer it, just keep on stirring while cooking it. And it doesn’t last so long after you serve it! I don’t need to talk about it so much. It’s an all time favorite of my crew and it is ready in just 15 minutes!!! Heat cooking oil on a large non-stick fry pan. 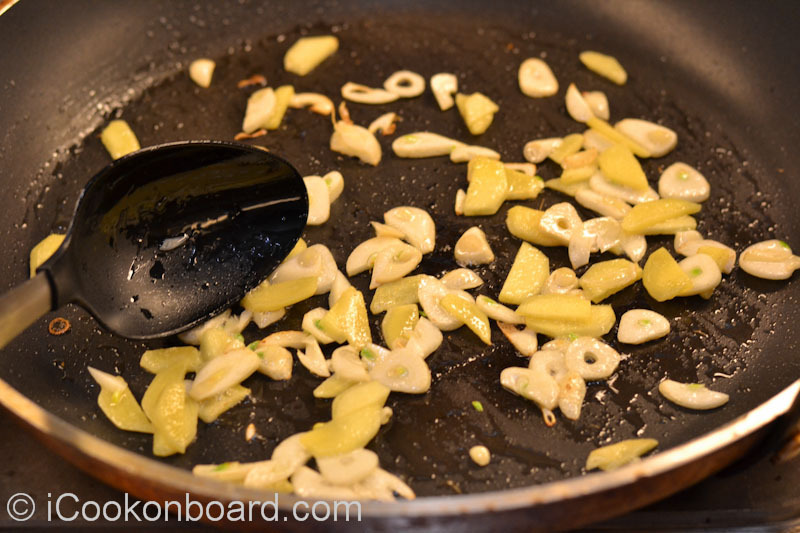 Add the garlic and ginger. 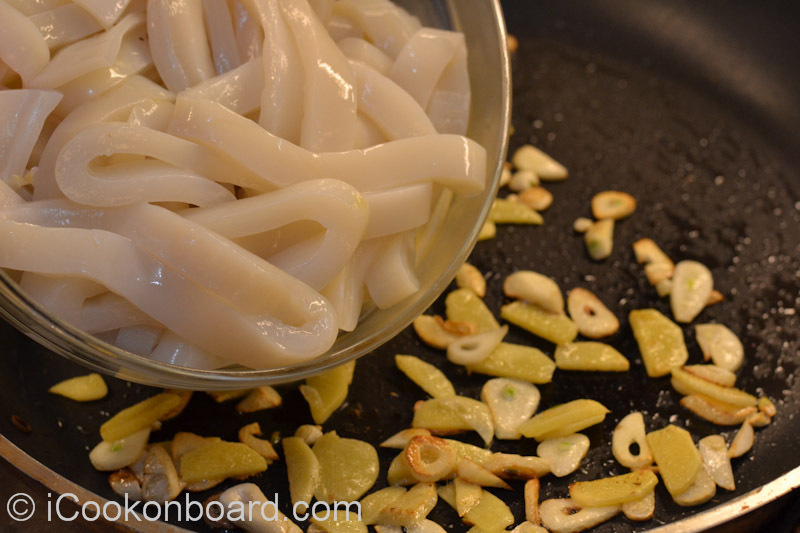 Stir until ginger is fragrant and garlic is golden browned. 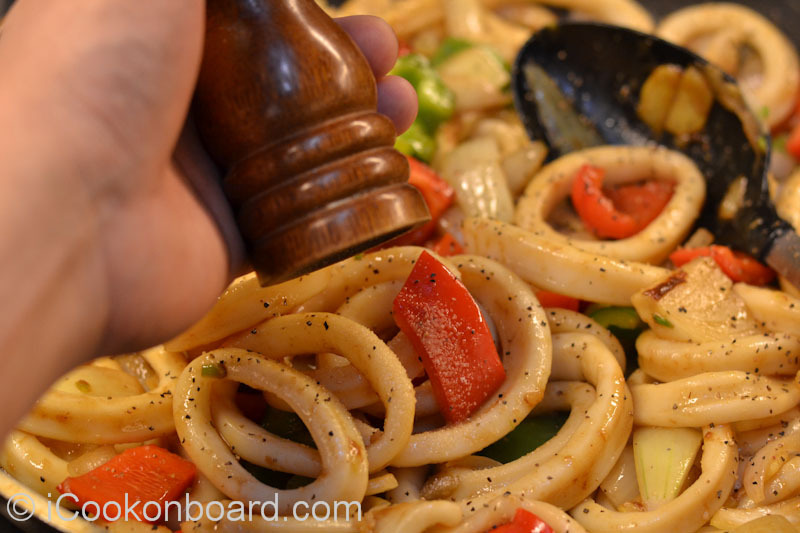 Add the sliced Calamares, stir fry for 3 minutes. 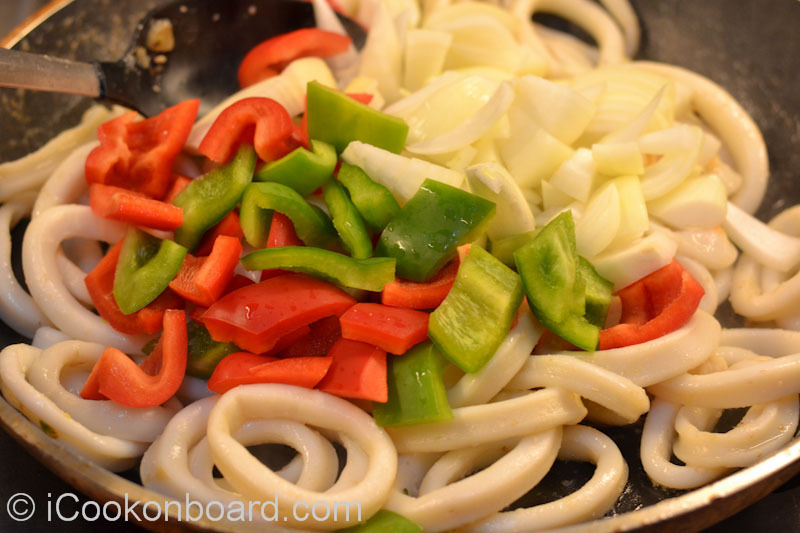 Add the onions and bell peppers, stir fry for a couple of minutes more. 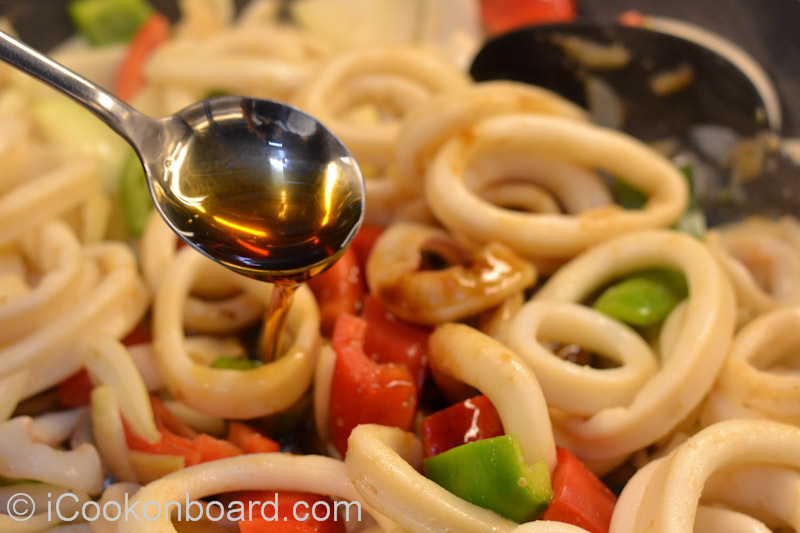 Pour in the oyster sauce, liquid seasoning and sesame oil. 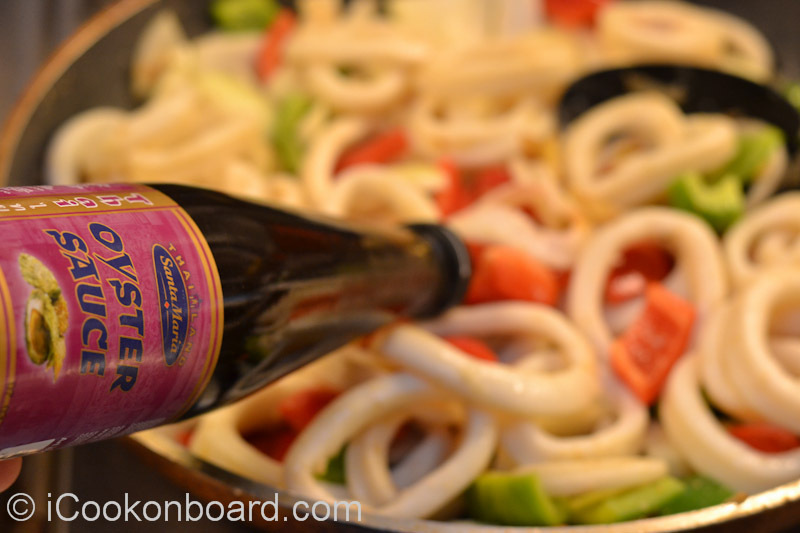 We normally use frozen Calamares Tubes onboard. Thaw it inside the vegs.room @4’C over night. 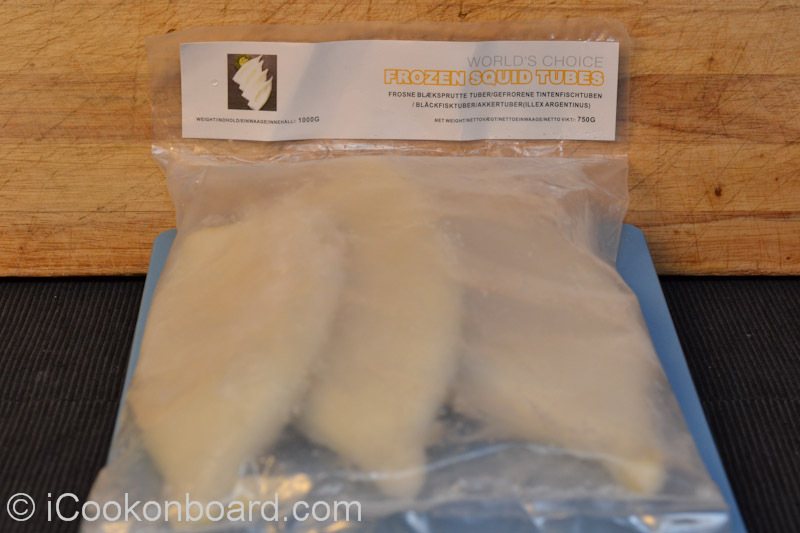 Frozen wt: 1kg – Thawed wt: 750grms. 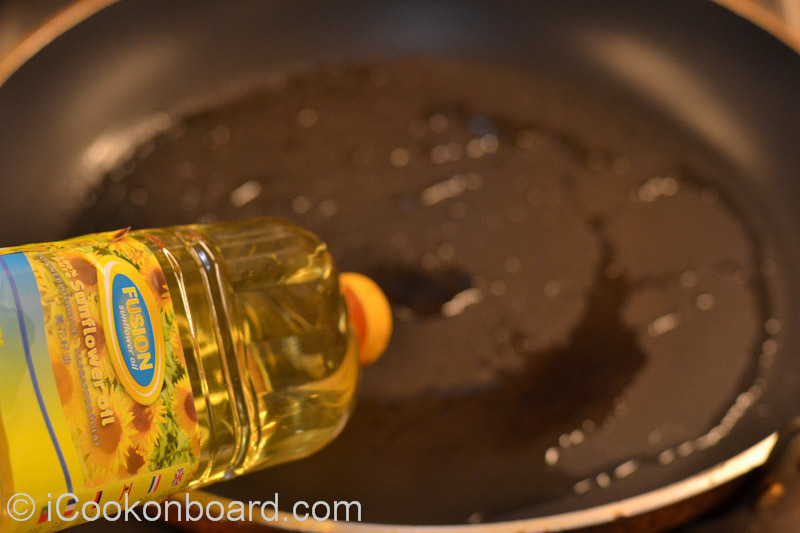 Heat cooking oil on a large non-stick fry pan. 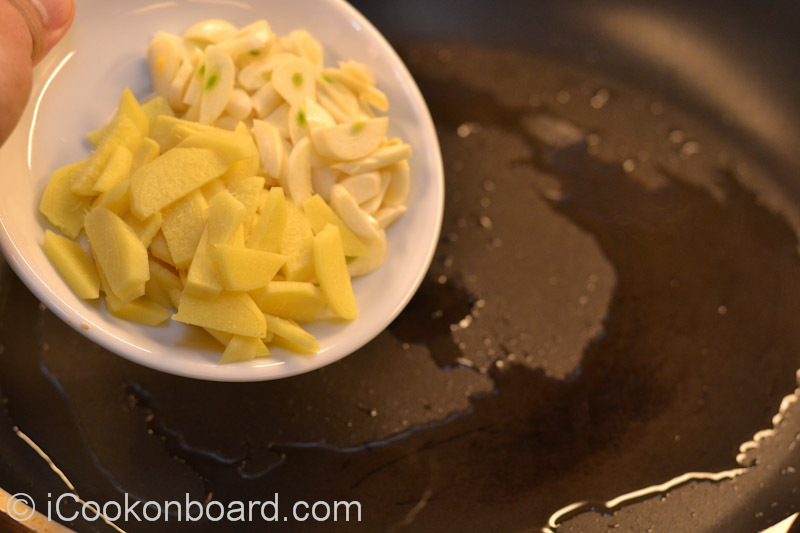 Stir until ginger is fragrant and garlic is golden browned. … stir fry for 3 minutes. 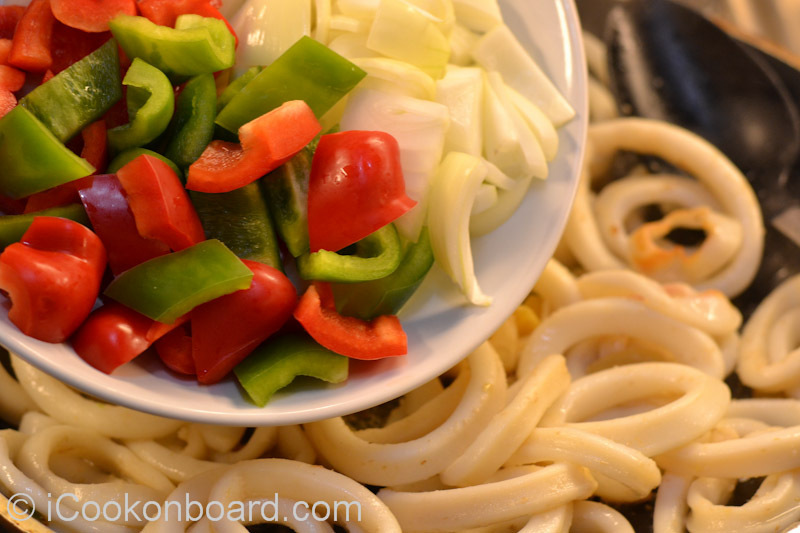 … stir fry for a couple of minutes more. 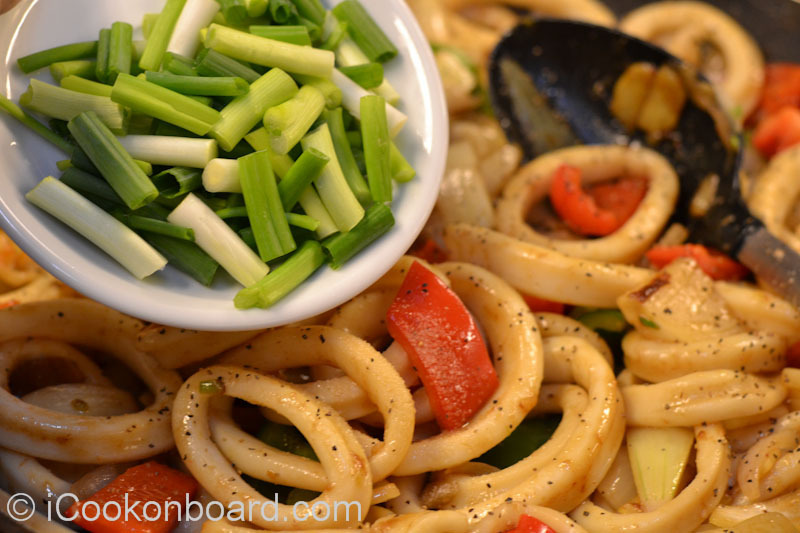 encourage you to try Stir Frying some Calamares! 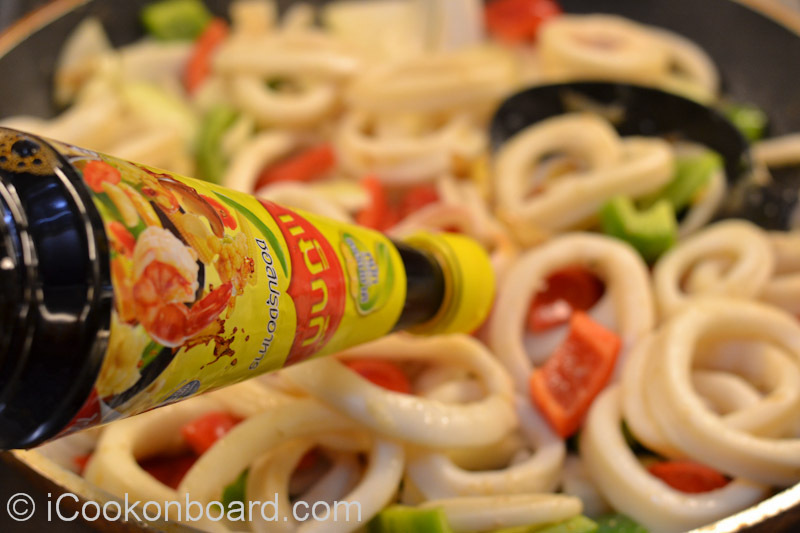 I just came across your blog while looking for lechon paksiw recipe using mang tomas sauce. 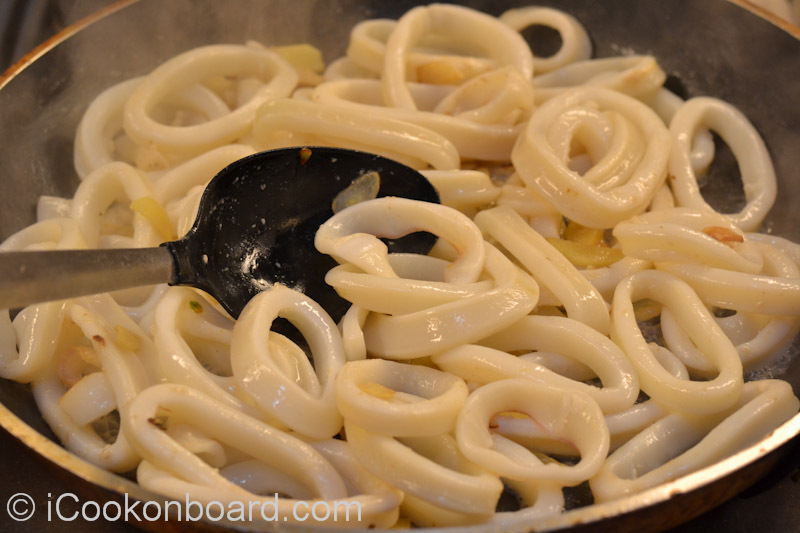 Then, I saw this calamari recipe. I can’t wait to try it, it look so delicious! Now, i have some great recipes to try. Thanks to you! Thank you so much, Ms.Nicer! 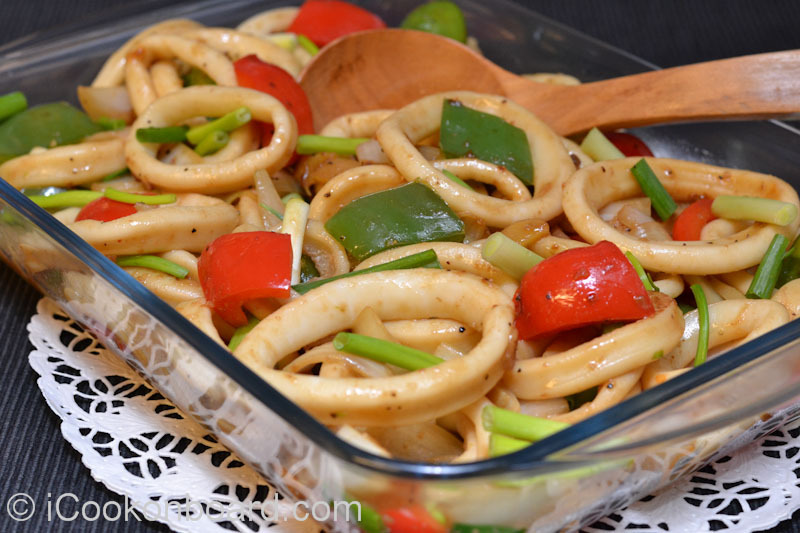 I was thinking what calamary dish to cook, seems I found the one. 🙂 With the exception of liquid seasoning.. Looks yum!